» The Beginning is Near! A couple of days ago, I told my boss that I am going to retire! July 31st of this year will be my last work day. Georgia and I have been talking about retirement for a while now and we made up our minds to do it. It is a life changing decision but one that, while it might be a little scary, can make our life better in many ways. No more daily commute and no more work stress. Now we will make the decisions about what we do each day – not a boss or work schedule. We will be able to travel more, visit family and friends more, spend more time on hobbies and pursue our own delayed projects. Because of changes my employer has made recently, I am already well on my way to finishing my retirement checklist. The company ended their pension plan a few years ago but anyone who was already vested was able to keep it. Now, they are trying to wind it down and so have required us to take a lump sum or start drawing payments by June 1st. I elected the payment option so that is taken care of. They also offer a health insurance reimbursement plan that pays part of the cost of Medicare supplement plans for Georgia and I. The catch is you have to sign up before your 65th birthday with the plan starting in your birth month. So, as of May 1, I am also on Medicare and Medicare Advantage. 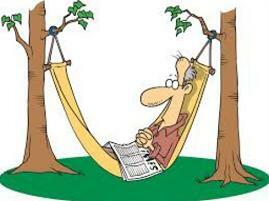 Since making the retirement decision, I enrolled in Social Security with those payments beginning in August. The only steps I have left are to complete the separation from my job and roll over my 401k into accounts that will begin paying distributions. Those will get done over the next 90 days. I’m ready to begin the next exciting phase of life – RETIREMENT! Thanks Gary! I am looking forward to the unending weekend.